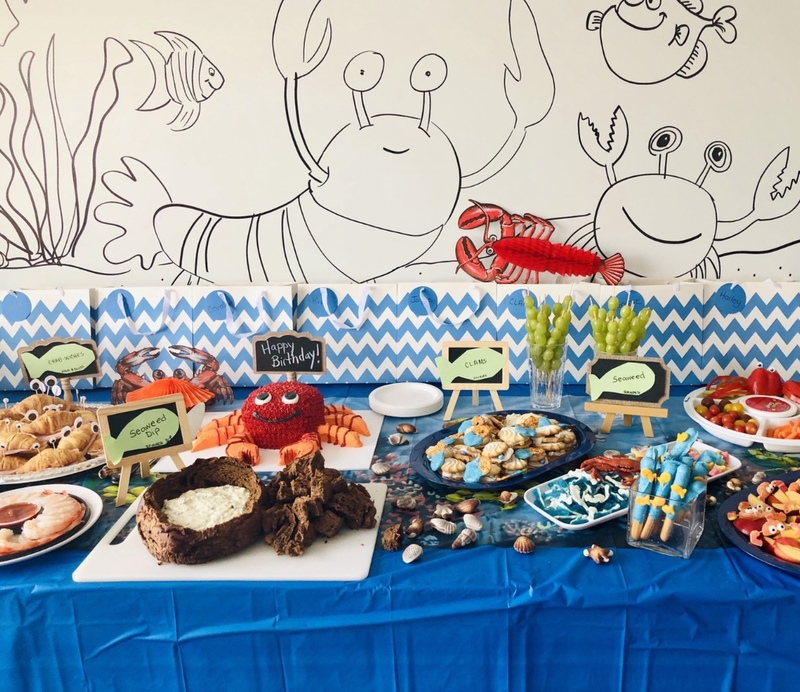 girl.meets.farm: Under the Sea Party! 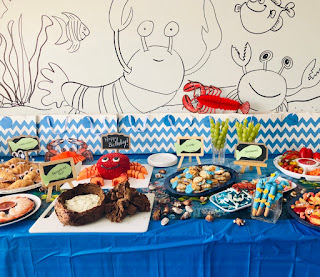 When your wee lad has a facination with crustaceans, it’s no surprise that he asks for an under the sea party! So this mama had to deliver. Thankfully, we are about to redo our back room, so it was emptied of furniture and my dear sweet fireman let me draw on the walls. It made for a great backdrop. I spent quite a bit of time on Pinterest- and came up with a kid friendly food plan. 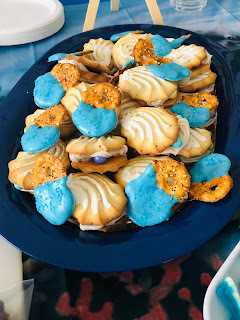 Which of course involved a lot of sweets because it’s still technically the week between Christmas and New Years where calories don’t count. 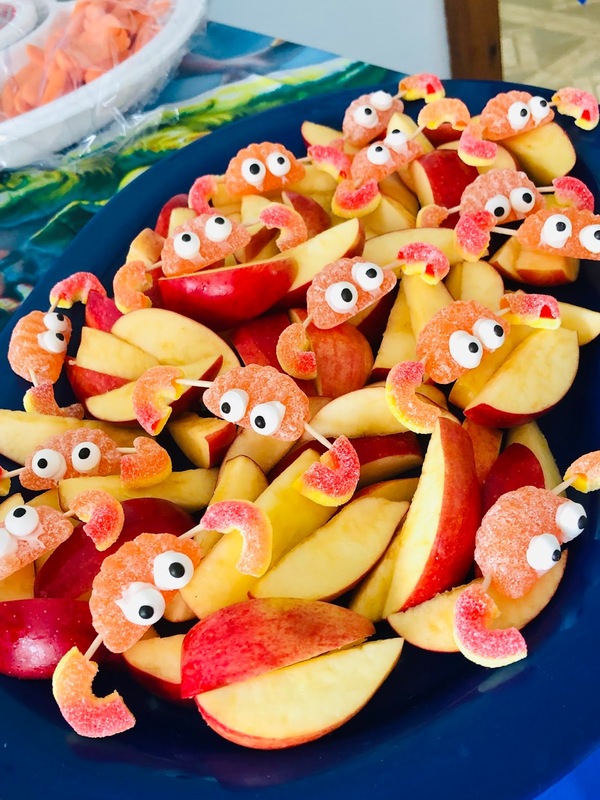 These little gummy crabs are so easy to make! 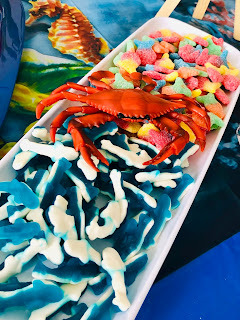 Candy, toothpicks and some candy eyes. Just watch the littles with the toothpicks. 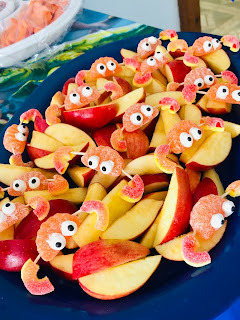 I added apples to give reassure parents that it’s not all sugar. Lol! Typically these are made with large pretzels, but the under 5 crowd don’t always like the salt. 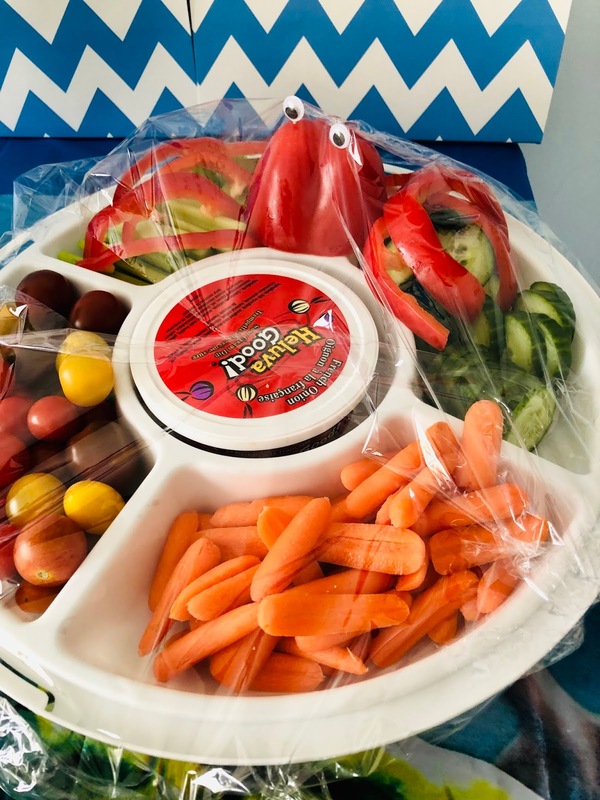 So I substituted breadsticks - kid friendly win! 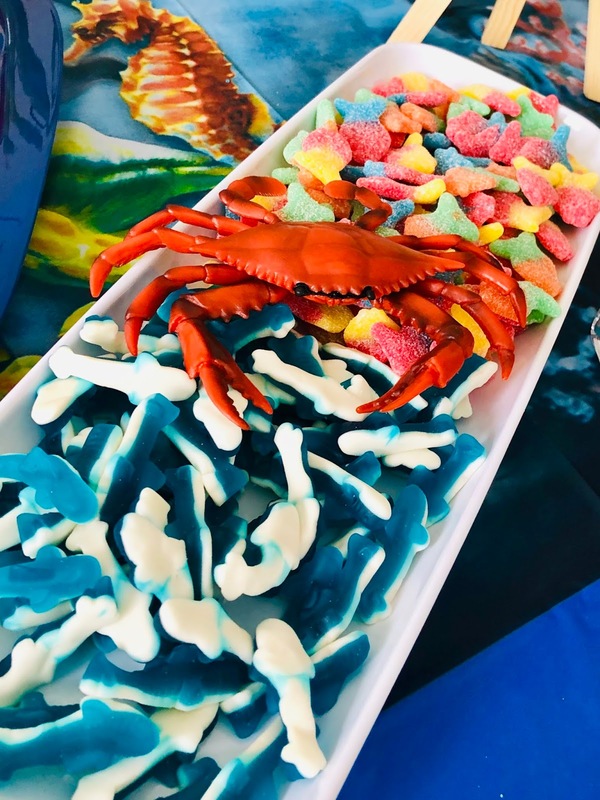 What’s easier than a plate full of sugar? 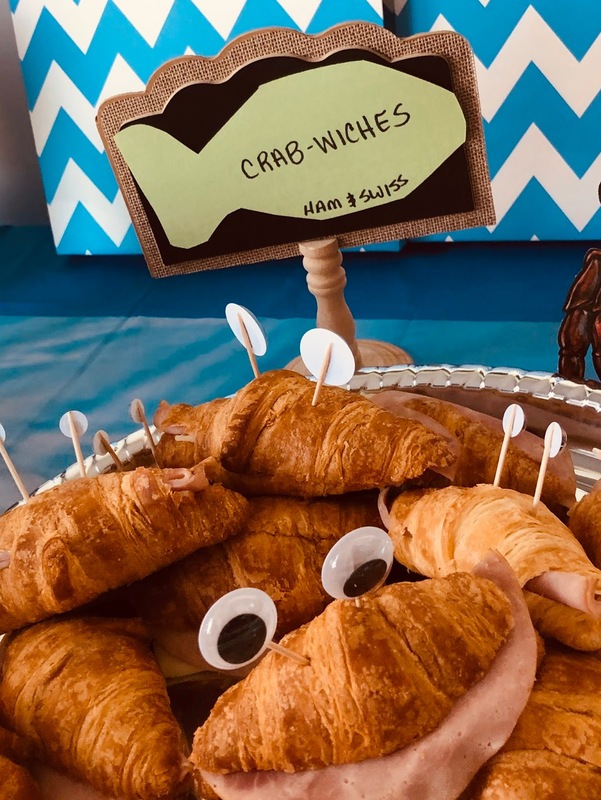 We added some “crabwiches” - these are super simple! Croissants with ham and cheese. Some lighter fare - the pepper octopus was easy to create with the addition of two google eyes. Oysters with a hidden pearl! 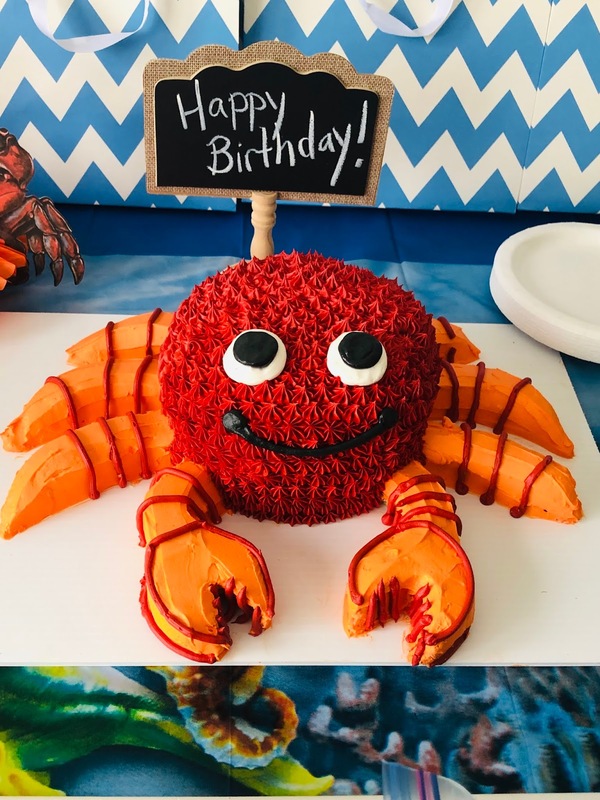 And of course, a crab cake. It is important to pick up a theme for the kid’s birthday party. 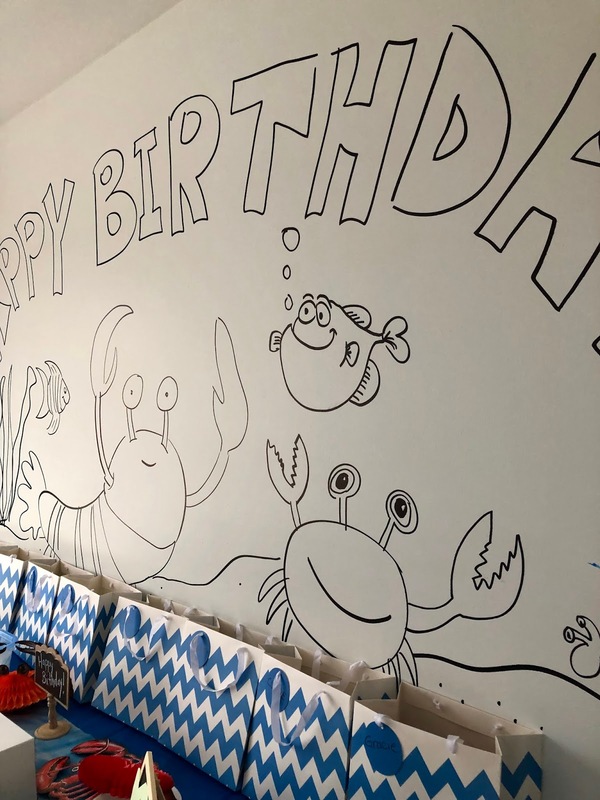 This is the reason that I am also looking for one of the finest San Francisco venues around for my daughter’s birthday party. 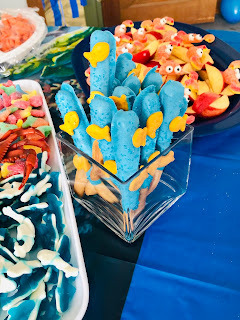 She is also going to like the little mermaid under the sea party.